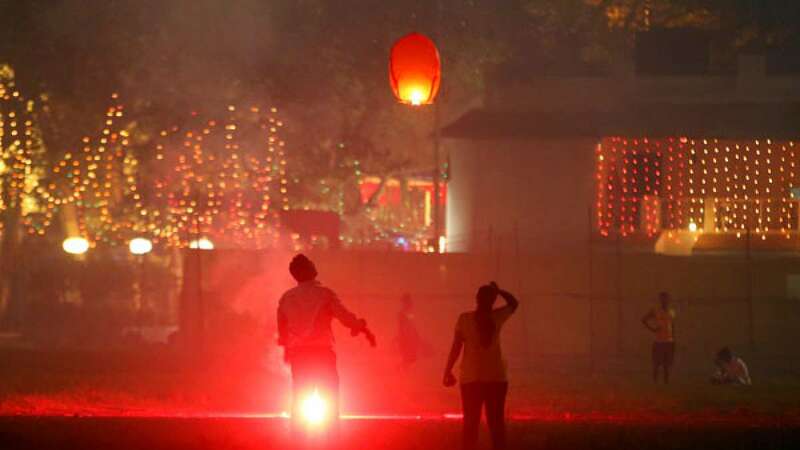 New Delhi : Delhi on Sunday celebrated Diwali with crackers and cheers, pushing air quality here into 'severe' zone. The Centre's System of Air Quality and Weather Forecasting and Research (SAFAR) recorded the level of respirable pollutants, PM 2.5 and PM 10, at 283 and 517 micrograms per cubic metre respectively at around 8 pm, violating the safe limits multiple times. Nearby regions Noida, Faridabad and Gurgaon also registered heavy smog on Monday mornings. SAFAR had forecasted that Delhi and NCR’s air will be severely polluted on October 30 and 31. The Central Pollution Control Board's monitoring stations in R K Puram, Anand Vihar, Mandir Marg and Shadipur, had similar readings.